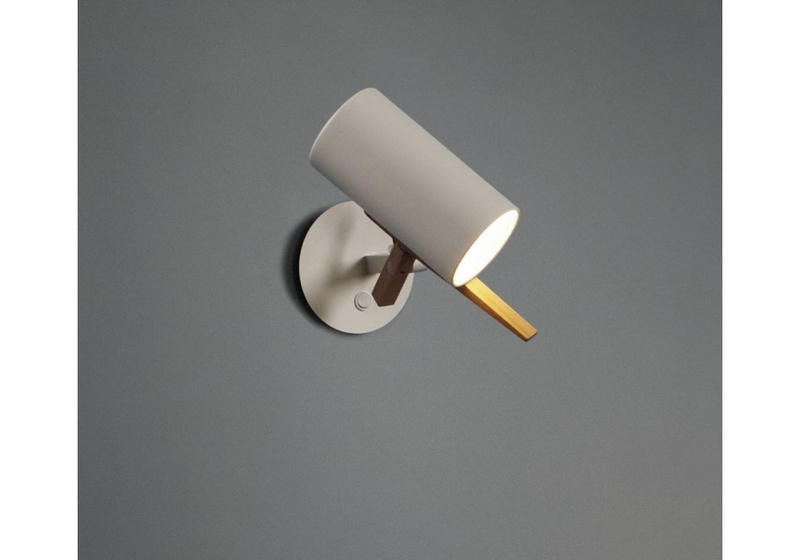 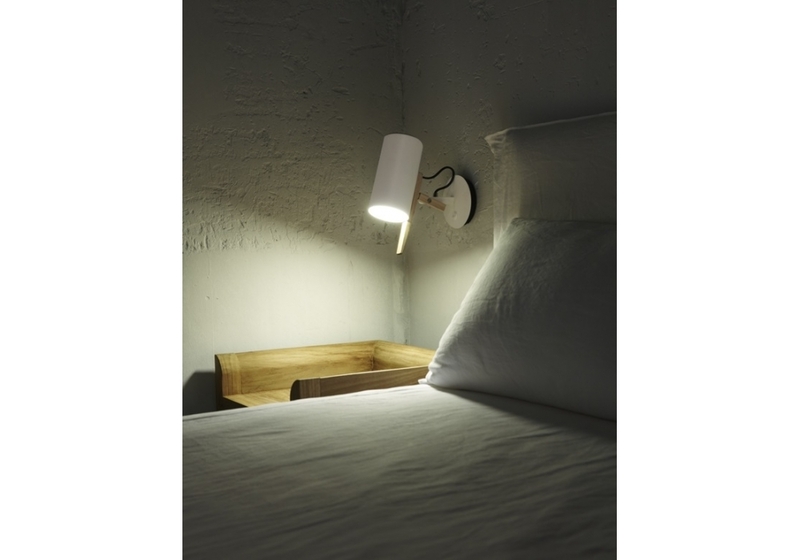 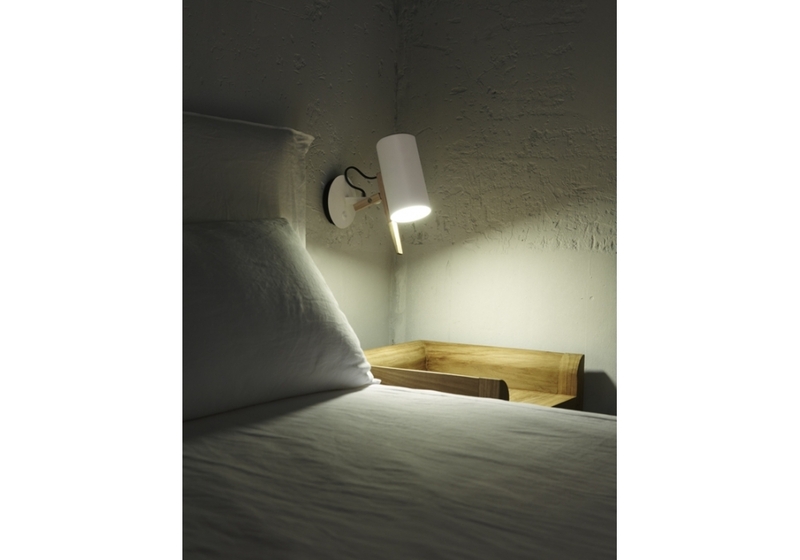 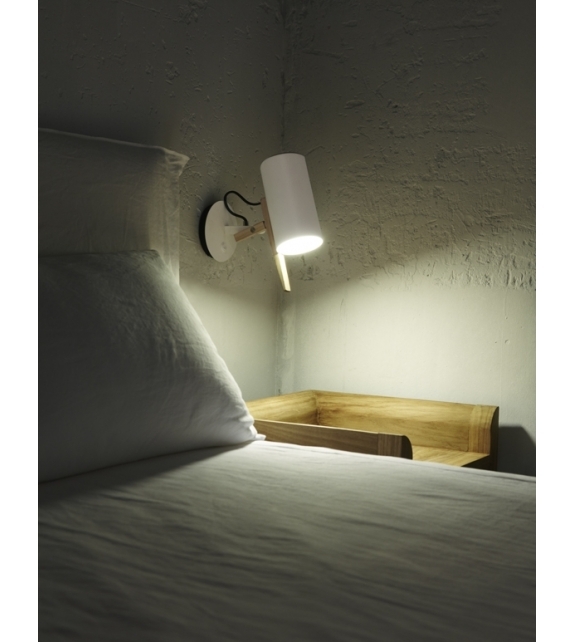 Scantling is a wall lamp designed by Mathias Hahn for Marset. 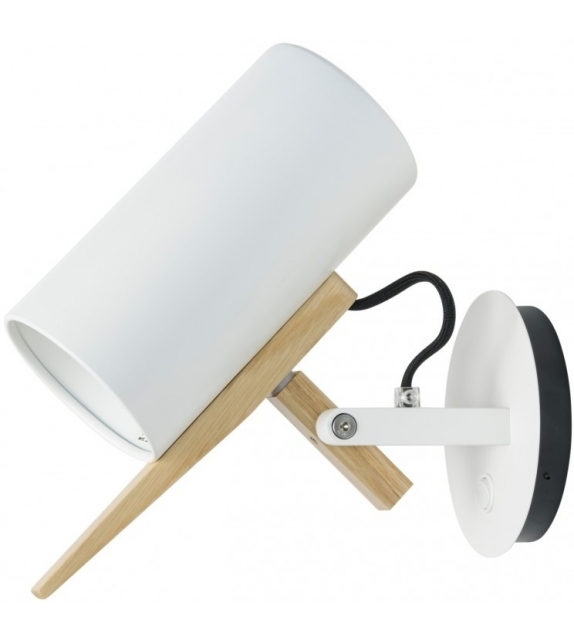 A combination of basic geometric shapes and the use of wood together with metal give this range of lamps a homely appearance, at the same time as a clearly defined personality. 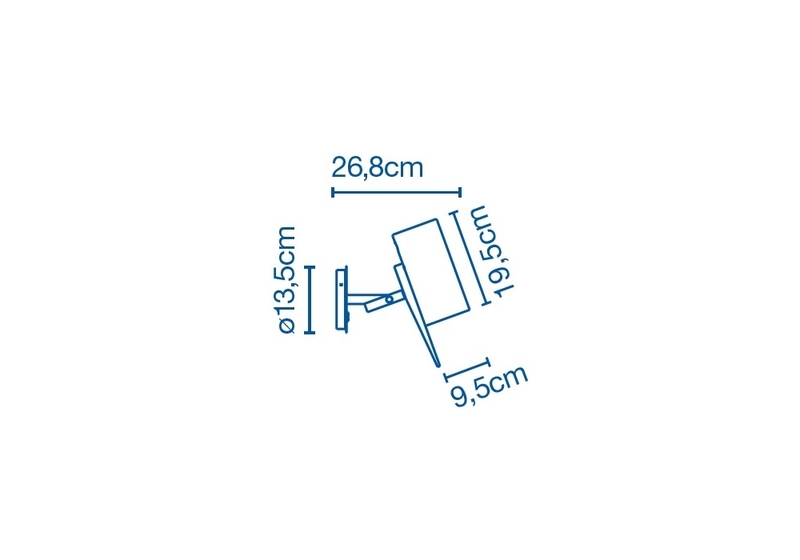 Scantling is a term used to define the size to which a piece of wood or stone is measured and cut, derived from the name of an old unit of measurement. 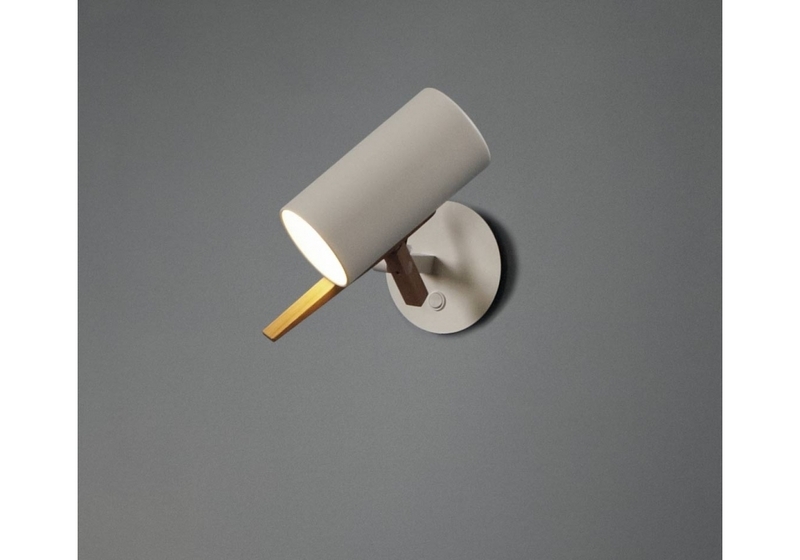 Scantling is a wall lamp designed by Mathias Hahn for Marset. 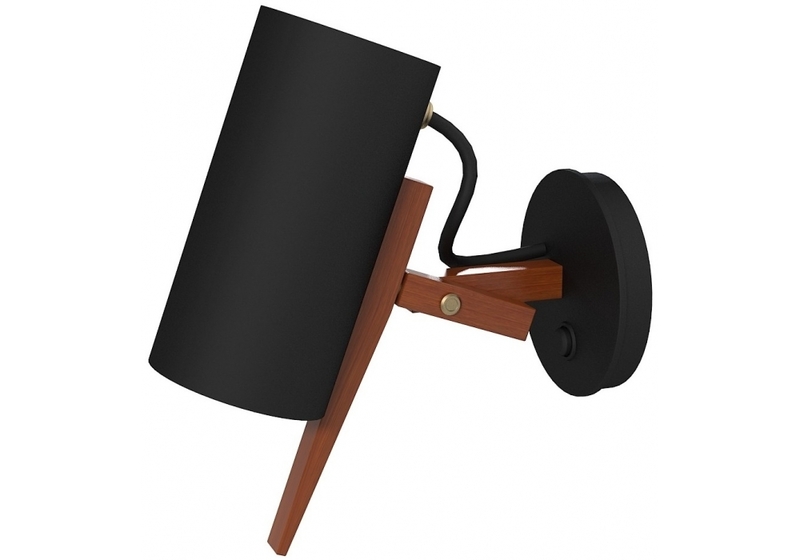 A combination of basic geometric shapes and the use of wood together with metal give this range of lamps a homely appearance, at the same time as a clearly defined personality. 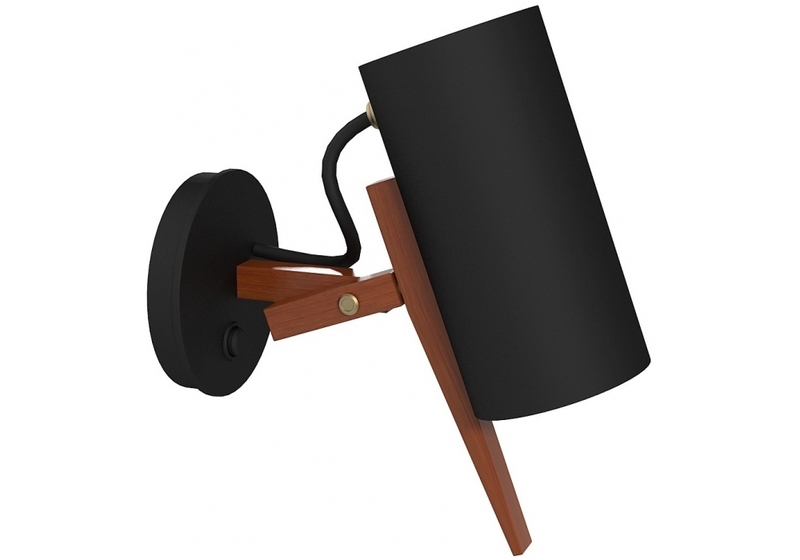 All of the movements of the fully rotating shade use arms and hinges, and its technical precision means that springs or counterweights are not necessary in order to maintain the selected position. 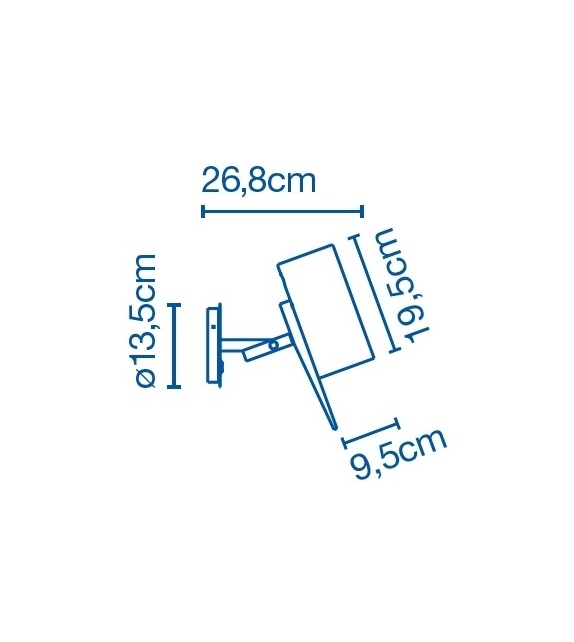 Scantling is a term used to define the size to which a piece of wood or stone is measured and cut, derived from the name of an old unit of measurement. 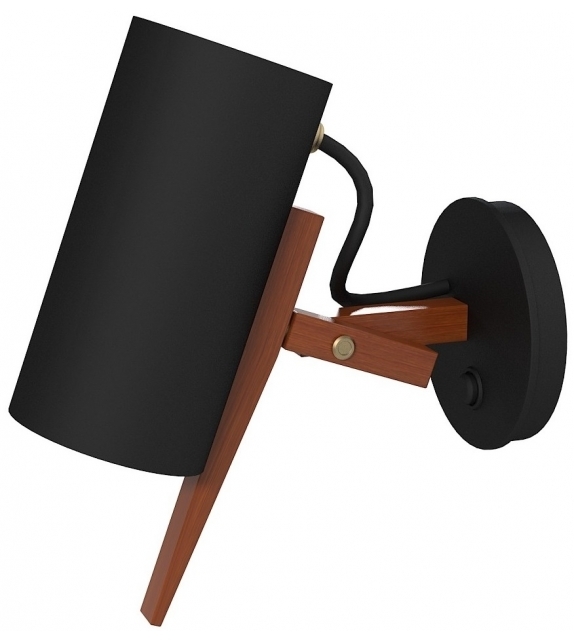 The interplay of the different elements used in its design gives this lamp an archetypal, almost graphic appearance. 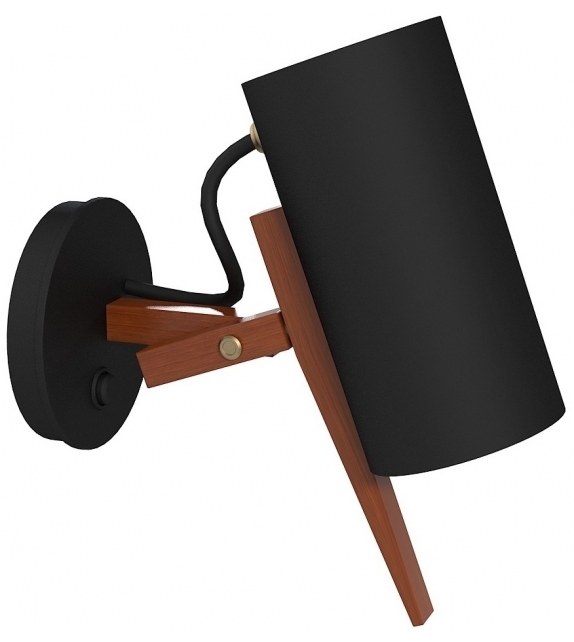 Construction material Lacquered iron structure with textured paint. 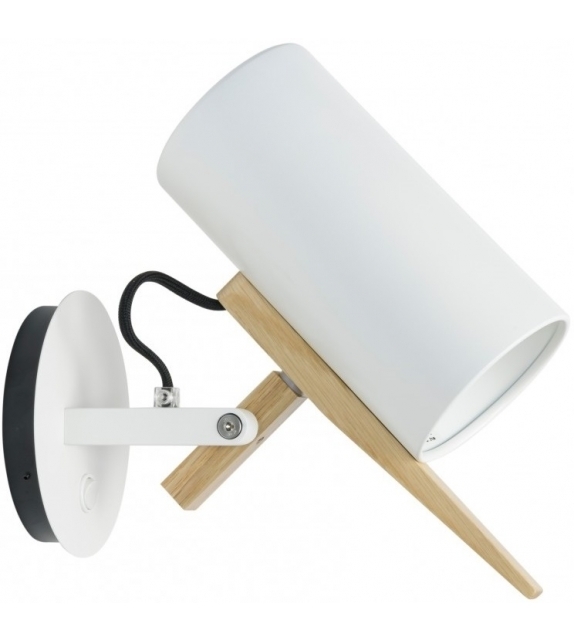 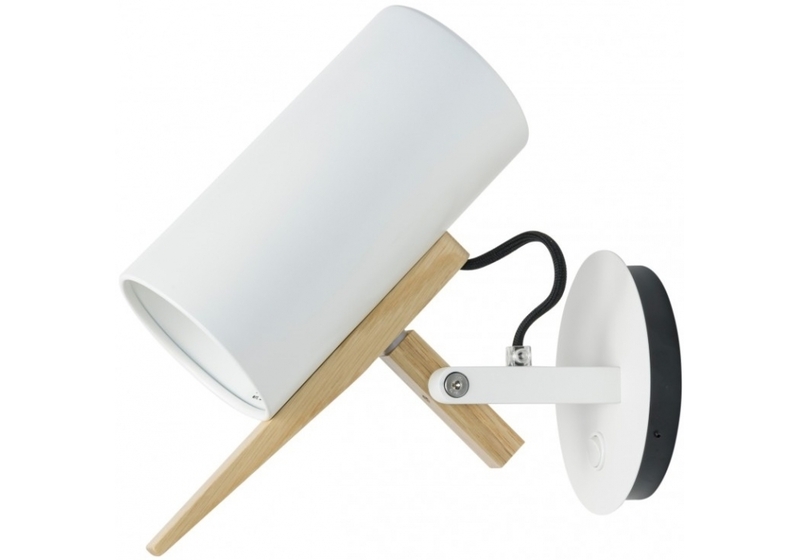 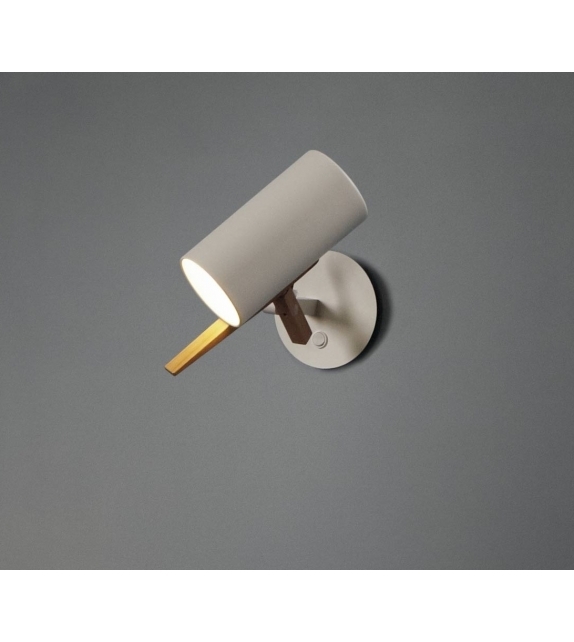 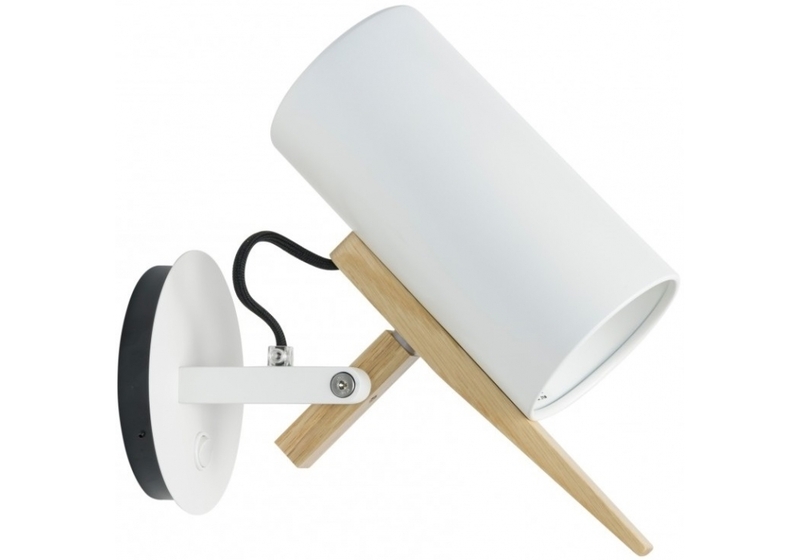 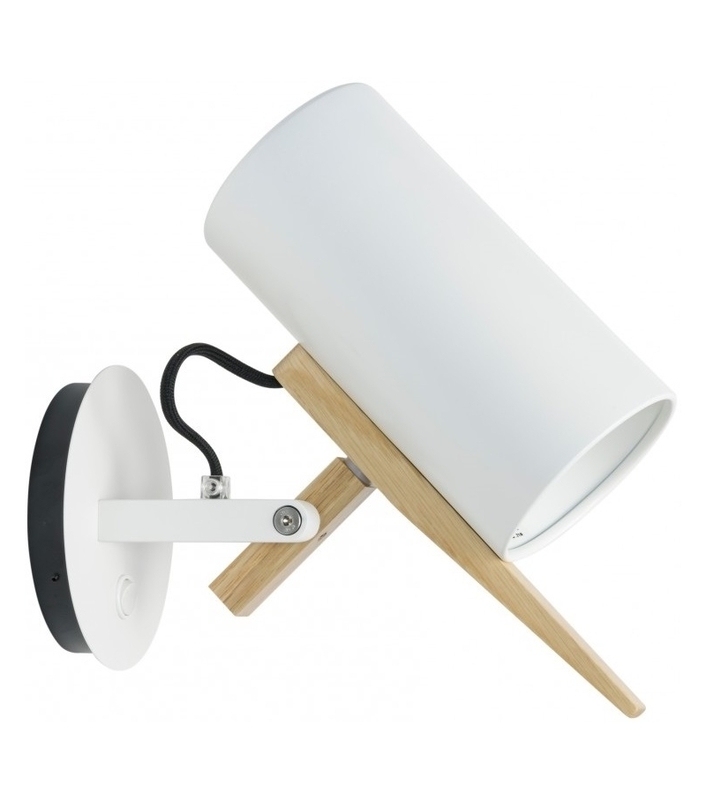 Solid oak arm supports a lacquered aluminium shade. 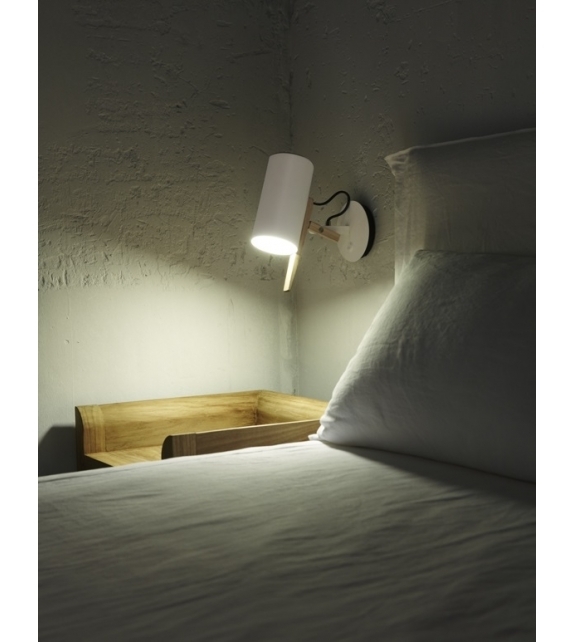 Built-in switch.